There is no doubt one of the most eagerly anticipated games of the moment is the next Elder Scrolls game. 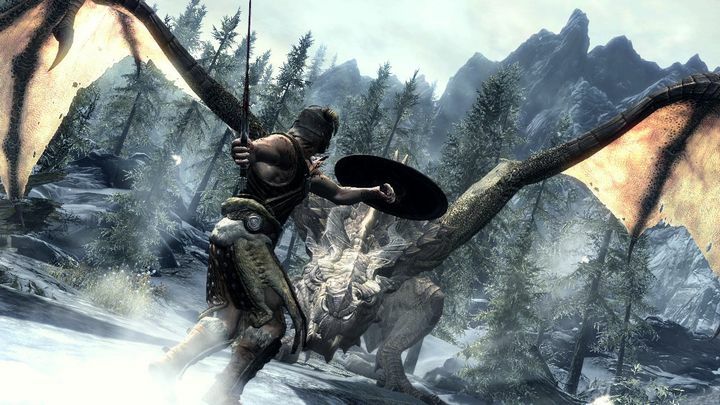 Announced in June last year at the E3 show in L.A., Bethesda’s sequel to the best-selling Skyrim game is something gamers the world over have been dreaming about, even if it’s likely the game is still several years away. But a recent prediction by a leading games industry analyst that The Elder Scrolls VI (which might be called The Elder Scrolls VI: Redfall according to rumours) would be hitting shelves this year got many people excited, even if it’s unlikely that Bethesda’s next open-world RPG will be launching in 2019 due to a myriad of reasons. Amongst these is the fact that after releasing the ill-received Fallout 76, Bethesda is now working on getting Starfield out of the door, it first new IP in more than two decades. Also, in all probability a new Elder Scrolls game would be releasing on next-gen consoles, and almost nobody expects the PS5 or Xbox Two (if Microsoft’s next machine is actually called that) to release this year. And perhaps to confirm the fact that a 2019 release date for The Elder Scrolls VI is unlikely, composer Jeremy Soule recently wrote on his Facebook page that he is not involved, and therefore not currently working on The Elder Scrolls VI, as was reported on VG247 (via IGN). “As so many of my fans have asked… While I’ve not said much about this out of courtesy to Bethesda, I would never turn my back on TES, and I believe that my involvement would hinge on a creative decision on their part and where they want to take the franchise. To confirm, I am currently not involved with TES VI”, wrote Soule on Facebook. So, does this mean there’s no chance of another Elder Scrolls game coming out this year? Not necessarily, because as IGN points out, Bethesda choose to hire somebody else to score their upcoming mobile game The Elder Scrolls: Blades, and this is Fallout 76 composer Inon Zur. This means there’s a possibility that Soule will not be involved with the next Elder Scrolls game, even if he has composed the music for every single entry in the series since 2002’s Morrowind game, and did truly do a terrific job with The Elder Scrolls V: Skyrim’s soundtrack, arguably the best in a fantasy game to date. So it would be weird for Bethesda to drop a man like Soule for their next major Elder Scrolls game, although it’s clear that his relationship with Bethesda may have soured after the company used Soule’s music in a concert back in 2016, without consulting the composer first. It would be a great thing, though, that Soule does return for The Elder Scrolls VI. Trekking through Tamriel’s landscapes without the composer’s lovely music would be unthinkable for those who have been playing these games for years, so here’s hoping that Bethesda announces Jeremy Soule’s involvement in the next Elder Scrolls game sooner rather than later.